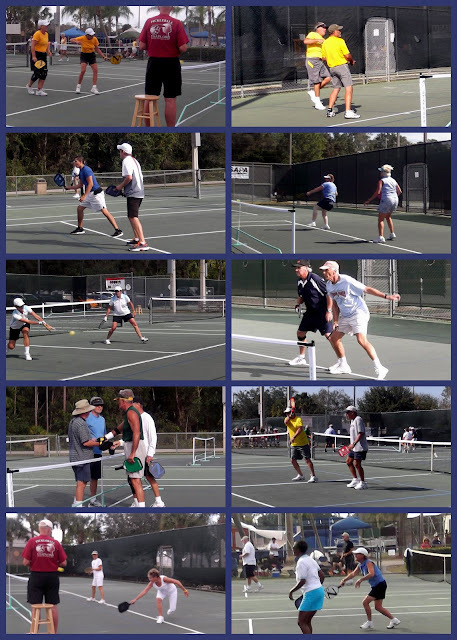 The Collier County Senior Games are usually played this time of year in Naples, Florida. But this year, due to budget restraints, the games were cancelled. Thanks to Nancy Meyer and Cindy Eddleman, our ambassadors from Southwest Florida - they turned the cancellation of the games into a USAPA Sanctioned Tier 4 Tournament open to players 16 years of age and older! The games were played from February 10-12, 2019 at the East Naples Community Park where more than 12 court were set up to accommodate nearly 130 players. It seems that Mother Nature likes to test our Florida players - bringing rain, cold weather and winds gusting to 20+ miles/hour. But despite the weather, we all played on. The Singles competition took place on Friday evening, followed by the men's and ladies doubles on Saturday and the mixed doubles on Sunday. Below are a few pictures from the doubles competition. This was a double elimination event, best two out of three games played to 11 points/win by two. The competition was superb, and the winds and cold weather emphasized the need to be able to battle the weather as well as your opponent. 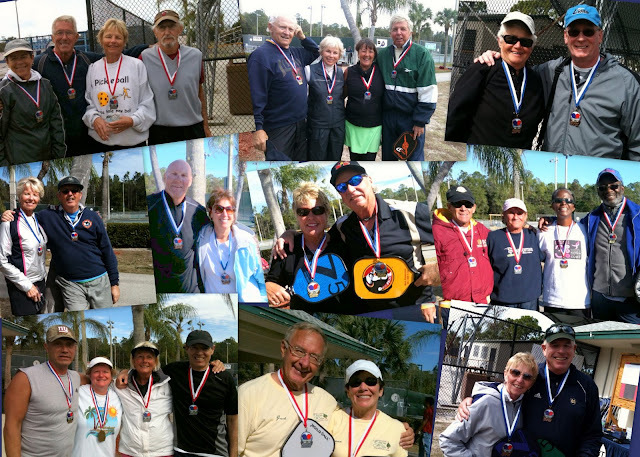 Below are some of the winners from the Mixed Doubles competition on Sunday. This was the first time that we have held a USAPA Sanctioned event in Southwest Florida. We could have used a few more referees - but despite that we had some excellent competition and three days of great pickleball fun! !